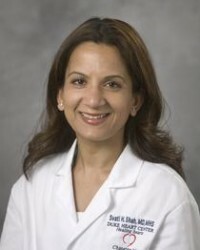 Svati H. Shah, MD, MHS, is an Associate Professor of Medicine in the Division of Cardiology, Department of Medicine. She is a board eligible cardiologist and her clinical interests are in genetics, echocardiography, and preventive cardiology. Her research focuses on genetic epidemiology and gene-environment interactions in complex cardiovascular diseases, including dyslipidemia, premature coronary artery disease, aortic stenosis, and peripheral vascular disease. She is also interested in genomic medicine and personalized patient care and has started a complex cardiovascular disease genetics clinic at Duke University Medical Center. Please RSVP by October 8, for catering purposes. All are welcome to attend, but only thouse who RSVP are guaranteed lunch!